Much better. The Paleontological Society has a short course every year at its annual meeting with the Geological Society of America. I’ve been to nearly every one since my graduate school days. They are designed to bring paleontologists up to speed on the latest innovations and ideas in the science. They are also — sometimes in contradiction — supposed to review basic concepts for non-experts in a particular subdiscipline. This year’s course, developed by Linda Ivany (Syracuse University) and Brian Huber (Smithsonian Institution), was even more ambitious than most: it brought together paleontologists and geochemists to address how we deduce ancient climates, and by implication Earth’s history of climate change. As an indication of its interdisciplinary nature, this short course was also sponsored by the Society for Sedimentary Geology (SEPM) and the Cushman Foundation for Foraminiferal Research. 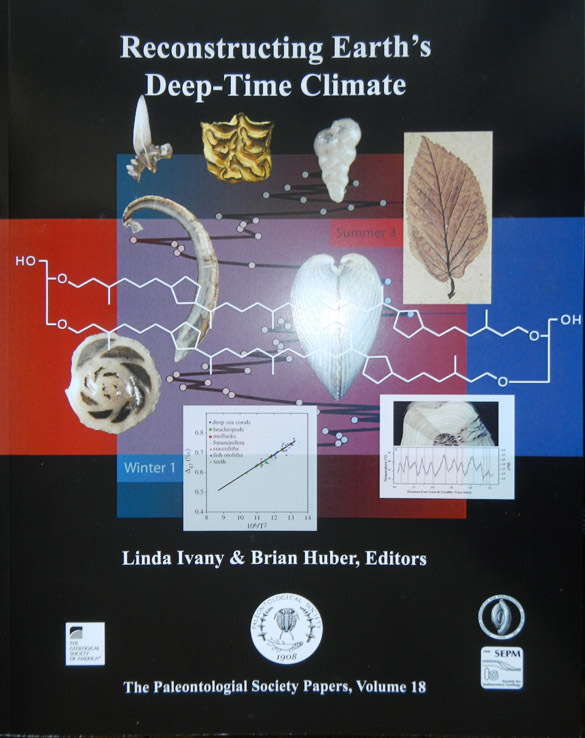 Linda and Brian succeeded in not only bringing us introductory level description of paleoclimatological theory and practice, they also showed us some of the most exciting new developments in the field. And unlike every other short course, this one even had food and drink! I learned a great deal in this course, especially about some geochemical techniques for estimating ancient seawater temperatures such as clumped isotope and lipid paleothermometry, oxygen isotope analysis, and Mg/Ca ratio determination. Each has particular advantages in particular circumstances, and each has significant limitations in other settings. They all produce varieties of what Greg Wiles calls “wiggly lines” open to interpretation as to what they mean about ancient temperature histories. We also saw several examples of how climate analysis actually works with invertebrate, vertebrate and plant fossils. As always, one of the primary lessons was that biological systems are not easily modeled or predicted — that what geochemists call “vital effects” can make complicated natural processes even more convoluted. Sounds like a wild success! 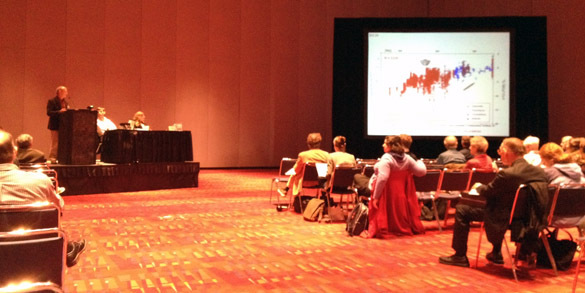 The CUR workshop was successful, too, albeit a bit smaller with cookies for sustenance.